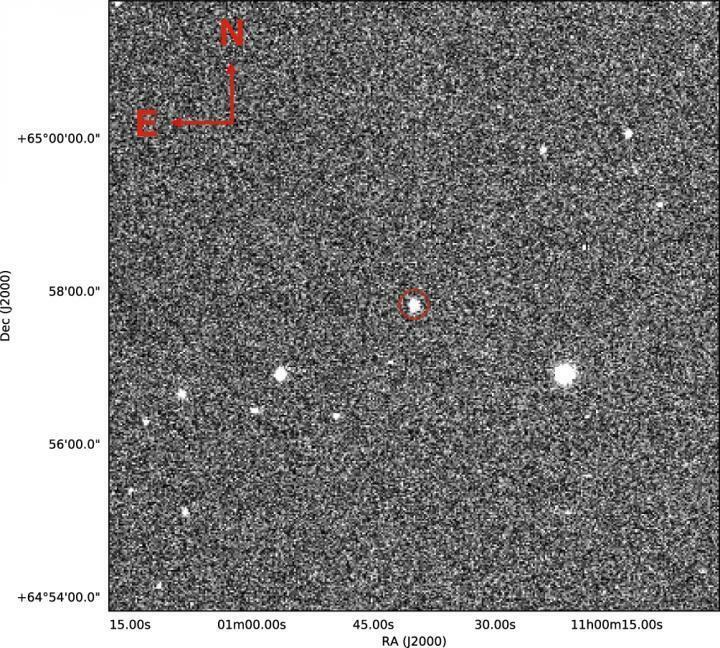 IMAGE: FINDING CHART INCLUDING KPS-1 HOST STAR AS OBTAINED WITH THE MTM-500 TELESCOPE IN V BAND. Software for analyzing data and searching exoplanet candidates was developed in UrFU. Subsequent observations of exoplanets candidates were conducted in a number of observatories around the world including the Special Astrophysical Observatory of the Russian Academy of Sciences. Spectral observations, which allowed calculating the mass of the exoplanet, were conducted at Haute-Provence Observatory (France).